After your 1st cleaning, the 2nd cleaning is FREE! ***Limited to new weekly and bi-weekly customers. Since 2008, Home Cleaners4You has been Northern Virginia’s premier home cleaning and maid services provider. We’ll refresh any room of your house, condo or apartment and we’re available for one-time, bi-weekly or monthly cleanings. Call us today for a free estimate. 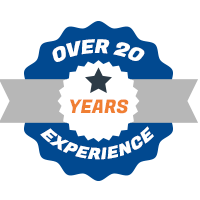 We’re ready to exceed even your highest expectations at our professional Northern Virginia cleaning company. Don’t have time to run a vacuum through your house, much less give it a top-to-bottom clean? Let the professionals at Home Cleaners 4 You lend you a helping hand! We’re the premier house cleaners in Springfield, Vienna, and the surrounding North Virginia region, offering homeowners a full scope of cleaning services to ensure their living space sparkles. From simple vacuuming, dusting and mopping, to linen changes, spot-cleaning and appliance cleaning, we’re here to deliver outstanding results. Our team leaves no stone unturned when it comes to delivering an encompassing, high level of cleanliness! In fact, we train to the most rigorous industry standards, to maximize the value of our cleaning services. 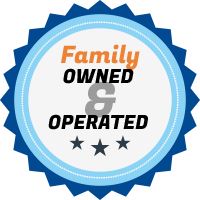 Our residential cleaning company has been family-owned and –operated for more than 20 years. 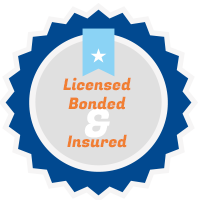 We’re a fully licensed, bonded and insured company, for your peace of mind. We offer one-time, recurring or specialty cleaning services, to help you get a truly deep clean. Our customer referral program allows you to get 25% off of your next cleaning service when you refer a friend and we clean their home! We’re ready to offer free estimates on our cleaning services to customers seeking them. Need your home cleaned before a big party? Want a maid service to come in weekly to keep your home fresh? Contact Home Cleaners4You today for exceptional cleaning services. "I am very happy with Home Cleaners 4 You and recommend them. I trust these friendly and competent women who come regularly to my home to always be thorough and leave my home smelling clean and company ready." "HC4U does a fantastic job! I've been using them for several months now after not having a cleaning service for a number of years. Maria takes great care to make sure her teams are up to snuff and doing things as they should be. When they get a new team member, she is there to help them learn the ropes. That gals are really super nice and efficient. I consider myself lucky to have found them." "We have been using HC4U to clean our house every other week for the last 15 years. The crews have always been friendly, dependable and efficient. Maria is very reasonable and flexible whenever we need to change or adjust the schedule, and she is prompt in addressing any concerns. We highly recommend them." "I have used Home Cleaners4You as needed for three years. They consistently do an AMAZING job. They have attention to detail and are incredibly friendly. Iam always IMPRESSED when I come home."